This handbook contains instructions, organizational information and filing schedules for judicial election campaigns. Written by judges, it is designed to guide a judge step-by-step through a successful election campaign 2018. Please call CJA at 916.239.4068 to request a Judicial Elections Handbook. Or CLICK HERE to purchase it from the CJA store. Members can also download the 2019 Judical Elections: Recall Procedures Handbook by logging in. 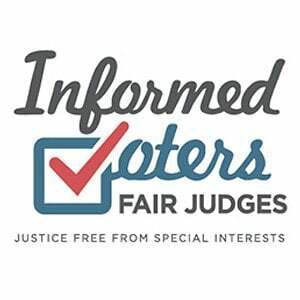 CJA Judicial Elections Workshops - if sufficient interest is expressed, the CJA Judicial Elections Committee will offer Judicial Elections Workshops to offer expert information from judges and other campaign advisors on successful campaigns. If you are interested in attending the Judicial Elections Workshop, please contact CJA: 916-239-4068. Call these judges for advice on campaign ethics problems. Contact the CJA office for a referral (916) 239-4068.